… I’m waiting… right… never happened. Meanwhile, the recession did a lot for closing coal plants and less burning because demand dropped so significantly. Email: A-and-R-Docket@epa.gov. Include docket ID No. EPA-HQ-OAR-2013-0602 in the subject line of the message. Facsimile: (202) 566-9744. Include docket ID No. EPA-HQ-OAR-2013-0602 on the cover page. Mail: Environmental Protection Agency, EPA Docket Center (EPA/DC), Mail code 28221T, Attn: Docket ID No. EPA-HQ-OAR-2013-0602, 1200 Pennsylvania Ave., NW, Washington, DC 20460. In addition, please mail a copy of your comments on the information collection provisions to the Office of Information and Regulatory Affairs, OMB, Attn: Desk Officer for the EPA, 725 17th St. NW, Washington, DC 20503. Public Hearing. Four public hearings will be convened. On July 29, 2014, one public hearing will be held in Atlanta, Georgia, at the Sam Nunn Atlanta Federal Center Main Tower Bridge Conference Area, Conference Room B, 61 Forsyth Street, SW, Atlanta, GA 30303, and one will be held in Denver, Colorado, at EPA’s Region 8 Building, 1595 Wynkoop Street, Denver, Colorado 80202. On July 31, 2014, a public hearing will be held in Pittsburgh, Pennsylvania at the William S. Moorhead Federal Building, Room 1310, 1000 Liberty Avenue Pittsburgh, Pennsylvania 15222. During the week of July 28, 2014, a public hearing will be convened in Washington, DC. The date and location will be announced in a separate Federal Register notice. For the reasons just described, based on the information available at this time, the EPA does not propose to find that CCS is a component of the best system of emission reduction for CO2 emissions from existing fossil fuel-fired EGUs. The EPA does solicit comment on all aspects of applying CCS to existing fossil fuel-fired EGUs (in either full or partial configurations), but does not expect to finalize CCS as a component of the BSER in this rulemaking. 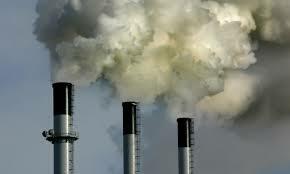 It should be noted, however, that in light of the fact that several existing fossil-fired EGUs are currently being retrofitted with CCS, the implementation of partial CCS may be a viable GHG mitigation option at some facilities, and as a result, emission reductions achieved through use of the technology could be used to help meet the emission performance level required under a state plan. #1 US coal producer, Peabody, reported a loss from continuing operations in 2013 of $286 million (and as additional loss from discontinued operations of $226 million (see page 43, Peabody 2013 10-K) and a loss from continuing operations of $44.3 million for 2014 Quarter 1 (Q1). #2 US coal producer, Arch Coal Inc, reported a loss of $641 million for 2013 (see page 57, Arch 2013 10-K) and $124 million in losses for 2014 Q1. #3 US coal producer, Alpha Natural Resources, reported over $1 billion in losses for 2013 (see page 57 Alpha Natural 2013 10-K) and a net loss of over $55 million for 2014 Q1. #4 US coal producer, Cloud Peak reported a net income of $52 million for 2013 but a net loss of $15 million for 2014Q1. (See page 3, Cloud Peak 2014 Q1 10-Q). #1 Peabody (“BTU”)’s stock price had lost about 81% of its value falling from a peak of $88.69/share in June 2008 to $16.16/share on Friday May 30, 2014. #2 Arch Coal (“ACI”)’s stock price had lost 95% of its value falling from a peak of $77.40/share in June 2008 to $3.56 on Friday May 30, 2014. #3 Alpha Natural Resources (“ANR”)’s stock price had lost about 97% of its value falling from a peak of $108.73 in June 2008 to $3.88 on Friday May 30, 2014. #4 Cloud Peak (“CLD”)’s stock price has been the most stable but still has dropped about 21% from a 2010 peak of $23.56 to $18.47 on Friday May 30, 2014. Fact #3—It is very likely that the US is past peak coal production, with the peak occurring in 2008 of 1.171 billion tons while 2013 coal production fell below 1 billion tons for the first time since 1993. It is unlikely that coal production in any US coal region will increase enough in the coming years to surpass the 2008 production. Fact #4—The costs to produce coal by the coal companies are rising regularly as the coal becomes less accessible. Even in the big, strip mines of Wyoming, the amount of dirt (“overburden”) that needs to be moved is increasing and driving up production costs. Instead of making the capital investments needed to mine this coal, the coal companies are slashing their capital expenditure budgets making it unlikely that coal production will be increasing in the future. “…people are going to have to start spending real cash to repair equipment that’s been parked, replace engines, rear motors and the like. That will provide a bit of an increment, but then in reality, people have not spent capital to replace equipment that ultimately reached the end of its useful life or spent capital to overcome the annual increase in stripping ratio that naturally occurs in the Powder River Basin. Fact #5—The largest US coal mines are beginning to play out. What used to the be largest US coal mine—the Black Thunder in Wyoming—produced about 10% of the country’s coal. Now the owner of the Black Thunder mine, Arch Coal, says that the mine is likely to start playing out by 2020. (See page 15, Arch 2013 10-K). The third largest US coal mine, the Cordero Rojo owned by Cloud Peak plans to take about a 25% production cut in 2015 due to rising costs of production and declining profit margins. What do I mean by crazy climate economics? First, we’ll see any effort to limit pollution denounced as a tyrannical act. Pollution wasn’t always a deeply partisan issue: Economists in the George W. Bush administration wrote paeans to “market based” pollution controls, and in 2008 John McCain made proposals for cap-and-trade limits on greenhouse gases part of his presidential campaign. But when House Democrats actually passed a cap-and-trade bill in 2009, it was attacked as, you guessed it, Marxist. And these days Republicans come out in force to oppose even the most obviously needed regulations, like the plan to reduce the pollution that’s killing Chesapeake Bay. Why is this crazy? Normally, conservatives extol the magic of markets and the adaptability of the private sector, which is supposedly able to transcend with ease any constraints posed by, say, limited supplies of natural resources. But as soon as anyone proposes adding a few limits to reflect environmental issues — such as a cap on carbon emissions — those all-capable corporations supposedly lose any ability to cope with change. Now, the rules the E.P.A. is likely to impose won’t give the private sector as much flexibility as it would have had in dealing with an economywide carbon cap or emissions tax. But Republicans have only themselves to blame: Their scorched-earth opposition to any kind of climate policy has left executive action by the White House as the only route forward. Furthermore, it turns out that focusing climate policy on coal-fired power plants isn’t bad as a first step. Such plants aren’t the only source of greenhouse gas emissions, but they’re a large part of the problem — and the best estimates we have of the path forward suggest that reducing power-plant emissions will be a large part of any solution.